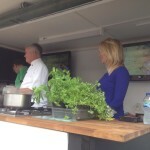 On the 30th August Chef Simon Smith and I presented a healthy eating demo at the Lichfield Food festival. Since studies show that we currently only want to spend an average of 34 minutes preparing and cooking food. 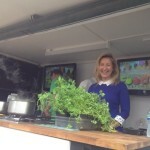 We thought we would show how easy it is to create raw food meals. Raw food term is clean meals, dishes that contain no additives becoming increasingly popular. We also showed that healthy eating can certainly be low cost. There will be a video of the demo posted on here shortly.